Mumbai: The tide might be turning for the Rs7 trillion Indian mutual fund (MF) industry, which had been was till recently complaining of vanishing investors since a ban on entry fees in August 2009. Investors are now buying exchange-traded funds (ETFs). Subscriptions in gold ETFs have more than doubled, and more than trebled in other ETFs between March 2010 and September 2011, when most other funds lost investors. Gold ETFs and ETFs based on the Nifty, the 50-share broader market index of the National Stock Exchange, are most popular among investors. An ETF is a listed security that tracks an index, a commodity or a basket of assets such as an index fund, but trades like a stock on an exchange. ETF prices change on daily trading and are regarded as providing the diversification of an index fund with the flexibility of a stock. ETFs, which constituted 0.3% of the industry’s overall folio in March last year, now contribute 1.1% of total subscriptions. Between March 2010 and September this year, gold ETFs have seen investor folio, or subscriptions, growing 191.58% at 428,768; other ETFs have seen the count shooting up 240.7% to 125,712. This happened during a period when equity-oriented schemes lost 5.42% folios; liquid and money market schemes lost 16.69%; fund of funds investing overseas lost 22.43% folios; balanced schemes lost 2%; and gilt funds lost 11.5% folios. Debt-oriented schemes, however, saw the folio count growing 35.21% as high interest rates are offered on certificate of deposits and commercial papers, where such schemes allocate money. There are 44 mutual funds at present with average assets under management (AUM) of Rs7.12 trillion and a total investor folio base of some 47 million at the end September, a decline of 792,706, or 1.65%, since March 2010. ETFs bulged in terms of AUM as well, with the money under them rising to Rs10,034 crore from Rs4,459 crore in September 2010, while the industry’s net AUM fell to Rs6.41 trillion from Rs6.57 trillion. Among all other mutual fund categories, gold ETFs have outperformed in the time frame of one year, three years and five years. The gold ETFs category has also outperformed the benchmark Sensex index on the Bombay Stock Exchange and the Nifty, which represents the overall market, according to a mutual fund ranking report by ICRA Online Ltd, the information services and technology solutions provider arm of Group ICRA, engaged in the business of credit ratings and research analysis. “With unexpected fluctuations in the market, investors are always keen in parking their portfolios in the safest havens," a recent ICRA report said. “Hence, gold ETFs turn out to be a good investment option for the investors to hedge their assets against the uncertain global market scenario." With an average 22.7% return over a three-year term and 33.23% over a year, gold ETFs distinctively outperformed all other mutual fund categories. Returns on gold ETFs are linked to gold prices. 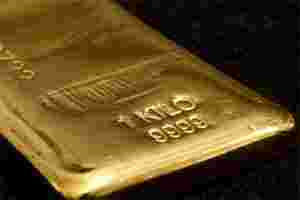 The yellow metal has risen 24.84% in the past three years and 35.41% in the past year. Investor interest in ETFs is attributed to low cost, transparency and ease of transaction. “Firstly, ETFs are cheap. And if you see the 5-10 year track record of Indian fund managers, it is clear that the ability of managers is high. Though some times it’s difficult to beat markets, it’s a stock pickers’ delight. We clearly see more ETF variants and much higher AUM in the next three years for this fund class," said Rajiv Anand, managing director and chief executive, Axis Asset Management Co. Ltd (Axis AMC) that manages Rs7,545 crore in assets and has at least Rs250 crore under its gold ETF, with about 25,000 investors. Nitin Rakesh, managing director and CEO of Motilal Oswal Asset Management Co. Ltd, too, attributed the growth of ETFs to its cost efficiency. “People want cheap yet performing products. ETF penetration is low and we see the market growing two-three times in the next few years," Rakesh said. “I will not be surprised if ETFs replace direct equity market investments in the next few years." Since inception, the HDFC Gold ETF topped with a return of 36.34%. On a year-to-date basis, returns of all gold ETFs have been in the range of 24.10% and 24.93%, Kotak Gold ETF being at the top.